Czech leader Andrei Babis defended president Milos Zeman in Brussels on Monday (29 January), while positioning himself in the EU mainstream. 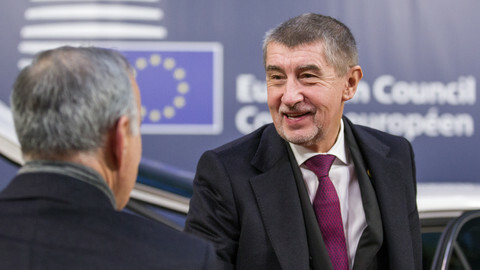 Babis told EUobserver that Zeman, a pro-Kremlin populist who won elections last weekend, was misunderstood by foreign media, who "just copy some sentences" from his enemies in the Czech press. 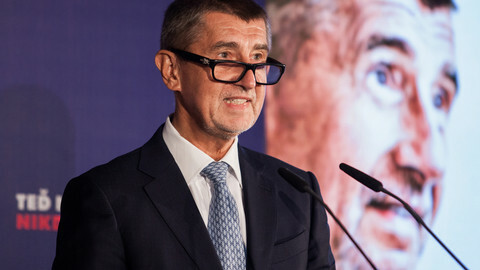 Babis, to an extent, distanced himself from the president, who celebrated his victory on Saturday at a party with Czech far-right leader Tomio Okamura. "Am I close to him [Zeman]? He's my president, but I'm not invited to his private parties or birthday parties," Babis told this website. He also rejected Zeman and Okamura's idea of a referendum on Czech EU membership. "I've said many times that I was against a referendum, because we [the Czech government] will try to make our activity bigger here [in the EU capital]. We have to fight for our interests [here]," Babis said. 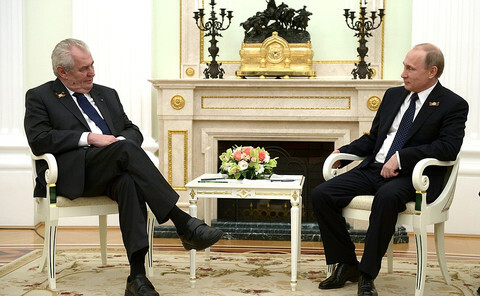 But he said Zeman did nothing wrong in his overtures to the Russian and Chinese regimes. "Zeman is just trying to make business for our [Czech] companies in China and in Russia. Other Western politicians go to China. [French leader] Mr Macron was there recently to sell Airbus, and no one was saying that Mr Macron was directing France to the east, and Russia is the same," Babis said. 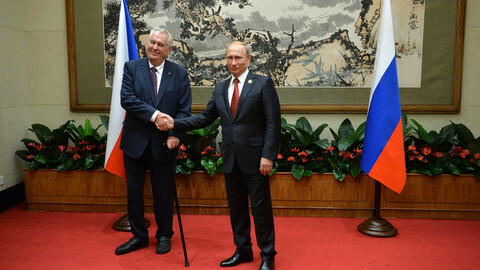 The referendum aside, Zeman has called for an end to EU sanctions on Russia and for the Czech Republic to boycott EU quotas on sharing asylum seekers. He backed Babis' election campaign last year and is in favour of a Babis-Okamura coalition. 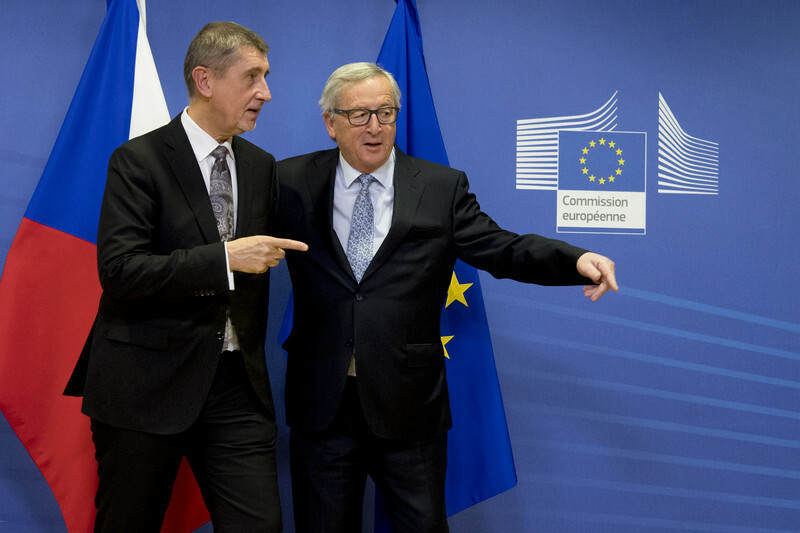 If that were to happen, the Czech Republic could take an anti-EU swerve along the lines of Hungary or Poland, but Babis indicated that he wanted to stay in the EU mainstream. He said it was "a good question" which party he would form a government with, but said he preferred the centre-left Social Democrats. He portrayed himself as defending Czech interests from inside the centre of European affairs. "I'm doing my best. I was in Bulgaria for its EU presidency. I was in Slovakia for the Visegrad Four [a central European club], and I was in Davos [a Swiss economic forum] … I'll concentrate on Europe, while our president is more active outside Europe, so 'on peut partager les choses'," Babis said, using a French phrase that meant "we can share things". Babis spoke to EUobserver while in Brussels to meet European Commission head Jean-Claude Juncker. He also spoke to Belgian daily Le Soir on his congeniality visit. He attacked EU migrant quotas, a hot-button issue in Czech society, saying that if the EU forced them through then Okamura's far-right party would win 30 percent of votes in the next Czech election, instead of 11 percent as last year. 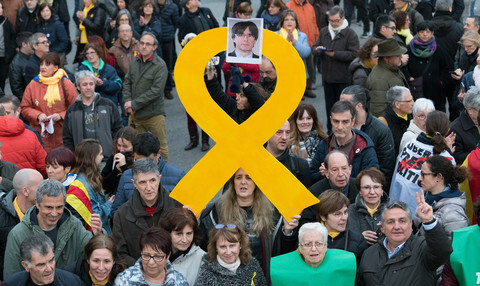 But he maintained a light tone, joking about claims that he also used "populist" tactics. "And what do you have against populists? Don't you like the people? 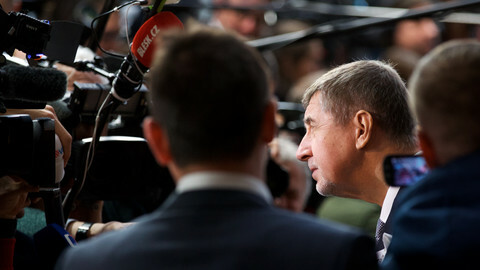 I'm for the people, so if you say that makes me a populist, then I'm proud of that," Babis told the Belgian newspaper. Prague think tanks said Zeman's re-election was unlikely to make much difference to Babis on the EU or Russia. 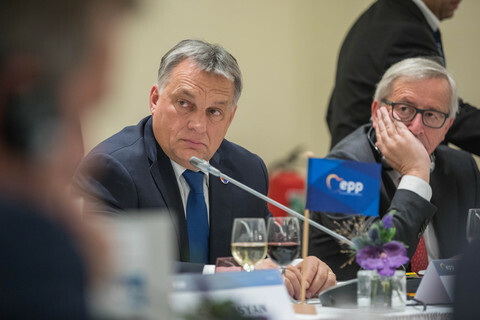 Vladimir Bartovic, from the Europeum institute, said Babis, a billionaire tycoon, would not do anything to destabilise EU markets because that would hurt his own companies in France, Germany, and further afield. "He [Babis] just wants to stay in power and to protect his business interests. 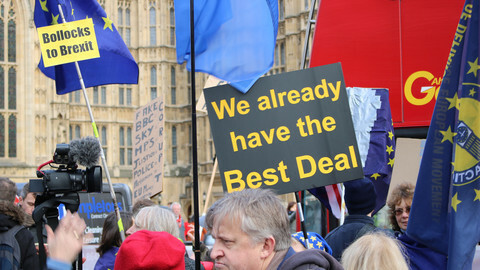 The EU is the only viable option for that," Bartovic said. He said Babis was unlike Hungarian prime minister Viktor Orban or Polish ruling party chief Jaroslaw Kaczynski because the Czech leader did not share their conservative ideology. "He [Babis] is a pragmatic politician and a businessman. He's neither liberal, nor conservative, not left, or right," Bartovic said. Vit Dostal, from the Association For International Affairs, said Zeman had backed Babis in last year's election and Babis had backed him in return, but that the "transaction" had ended with Zeman's victory on Saturday. "He [Babis] is very transactional. He's not Zeman's 'friend' in any sense," Dostal said. Dostal said Babis did not want to get too close to Zeman or Okamura because he liked the kind of red carpet treatment that Juncker gave him in Brussels. "He [Babis] enjoys going to venues like Davos and he wants to be respected in other EU capitals," Dostal said. Speaking more broadly on the Czech mood, Europeum's Bartovic said Zeman was re-elected by the 52 percent of people who felt like 'losers' in the country's post-communist transition. He said unemployment was low, but that Czech people now wanted the same wages as in Austria or Germany. He added that voters did not care about Zeman's Kremlin love affair, with just seven percent of people voicing interest in foreign policy in pre-election polls. Dostal said Zeman, a 73-year old political veteran, also won because he was a "more cunning" campaigner than his rival, Jiri Drahos, a mild-mannered scientist, who came across as "part of the intellectual elite". Michal Koran, from the Aspen Institute Central Europe, said Drahos looked bad in the final TV debate, when "you could see Drahos being nervous - he tried to attack Zeman, but it didn't look natural." Koran said Zeman would keep on saying wild things to attract media attention, but that little would change under Babis compared to the previous Czech government. Dostal said Zeman, who calls himself a "euro-federalist" while calling for a referendum on a Czech EU exit, was a "euro-surrealist". He said his re-election meant "business as usual" for Czech-EU affairs, but added that "the Czech Republic and Czech voters missed an opportunity to show a more positive face to Europe" when they put Zeman back in Prague Castle. Prague Castle's 'pro-Kremlin troll', president Milos Zeman, can do little harm to the EU even if he wins this weekend's election, experts say, while liberal opponent Jiri Drahos would break with Zeman's isolationism. For Andrej Babis, a businessman turned politician, EU membership is a matter of conviction as much as of economic opportunities, in a country still looking for a purpose. It is obvious that Babis´s family is benefiting from the economic success of Agrofert, which in turn is influenced by its receipt of EU funds and subsidies, even if Andrej himself is not named.